When an urgent situation like a roof leak, sewage backup, pipe burst, or flood occurs without warning, you’re going to need the immediate action of water damage Watsonville professionals from 911 Restoration Santa Cruz. To help avoid these issues, you can count on us. We are available 24/7/365 to work on the problem on the day you call. Our licensed, insured, and bonded team will conduct the finest water damage and restorations that will give your home the fresh start that you’ve been looking for! 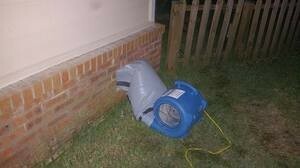 The best way to deal with mold growth and water damage is by getting in touch with 911 Restoration right away. We can perform a free visual inspection of your property to locate the source of the leak and detect any signs of mold growth. Our IICRC certified water damage Watsonville experts can patch up the leak, extract water using advanced drying technology, and conduct mold remediation services. Our team is fully committed to your absolute satisfaction because we believe in giving every homeowner a fresh start. Through our water damage repairs and restorations, we’ll patch up that roof leak, pipe burst, sewage backup, and flood, and make your home look good as new. 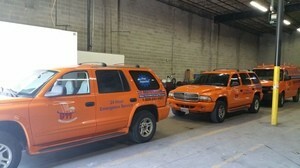 Our technicians are always ready to lend you a hand. We can respond to your emergency within 45 minutes of your call so we can get your home back in shape in no time! Rest assured that we will be thorough with our approach so both mold and the spores it may have released into your home are completely removed. Once the area has been cleared, we will be conducting the restorations that will make your home look good as new. With our water damage repair and restorations will make your home safe, comfortable, and mold-free. Get a fresh start today by giving our water damage Watsonville team with 911 Restoration Santa Cruz a call so we can take care of you and your home today!